The Pureline® M6100 Oxygen Concentrator included with this anesthesia system is designed and built specifically for use with small mammals. 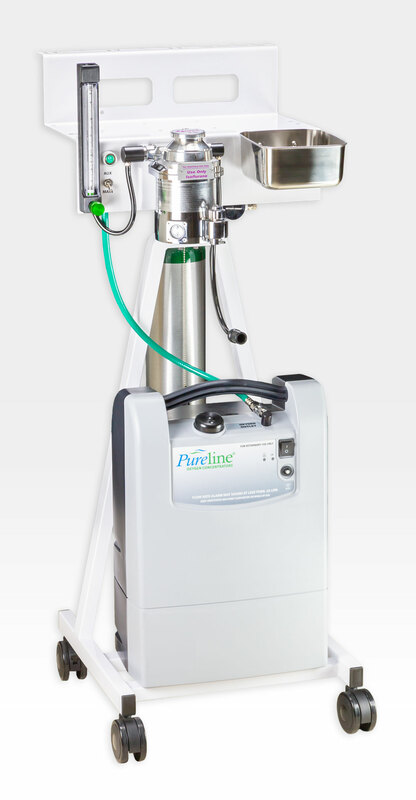 The Pureline® M6100 extracts pure, medical-grade oxygen from the air and delivers it on demand to the non-rebreathing anesthesia system. No tanks, tank refills, or tank management! The built-in E-tank manifold allows for mobile use of the machine without power- it also protects your patients in case of power failure. The M6100 is quiet, elegantly simple to operate, and requires almost no maintenance. 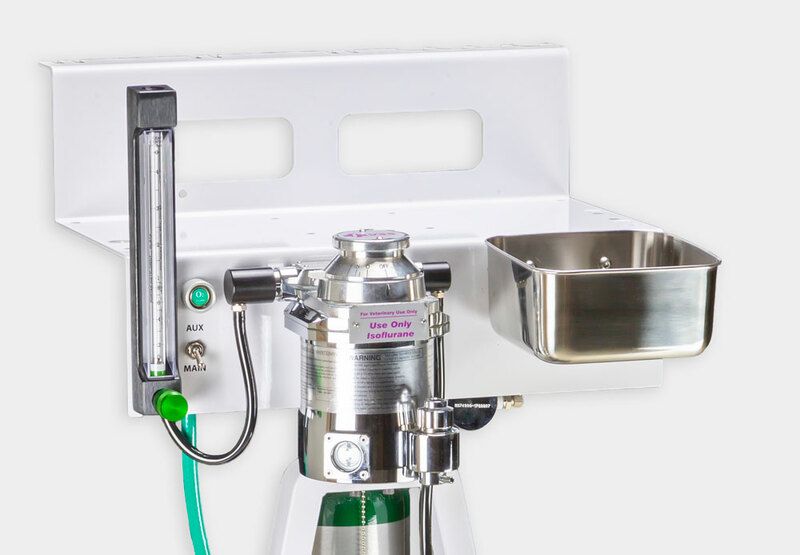 While similar machines have been in use in Europe for years, Supera Anesthesia Innovations has perfected the technology, added important safety features, and is making this time and money-saving equipment available to the US veterinary community for the first time. •	Available in a package including vaporizer and other accessories. Please call Supera Anesthesia Innovations at (877)620-1500 for information and quotes.